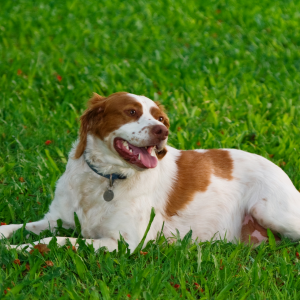 Happy, sweet natured, intelligent, and energetic dogs. 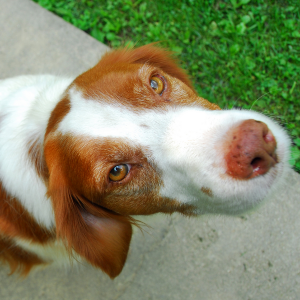 Brittanys have a sensitive nature and respond well to motivational tools such as treats or favorite toys in a reward-based approach to training. 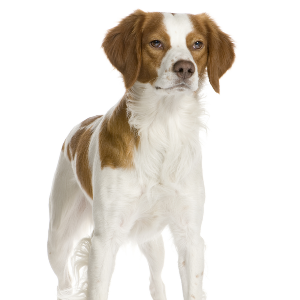 Enjoy dog sports such as agility, competitive obedience, hunting, field trials and tracking events that make use of the Brittany’s keen sense of smell. Generally good with children although need close supervision because their exuberance may lead to accidental injury. It probably won’t surprise you to know that these attentive and happy dogs are from Brittany in France. Their official history goes back to 1865, although some believe they’re featured in paintings and tapestries as far back as the 17th century. They came about through accident rather than anything else. When British nobility visited France to shoot partridge and woodcock, they took their dogs with them. But thanks to quarantine laws, they usually had to leave them behind. 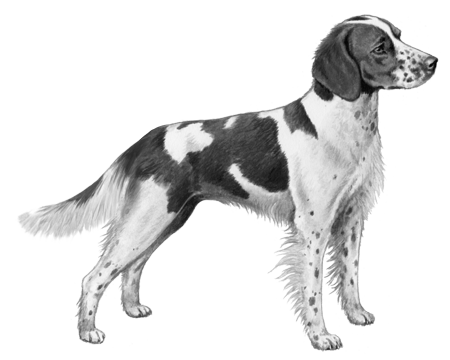 It was these abandoned dogs that bred with local spaniels that created the Brittany we know today. 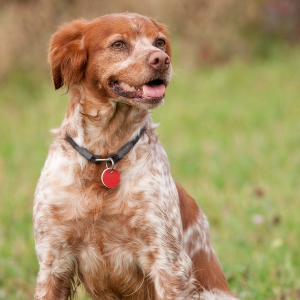 Back then, the breed became popular because people noticed what great tracking dogs they made. It didn’t take long before they were recognized for being great pets too.